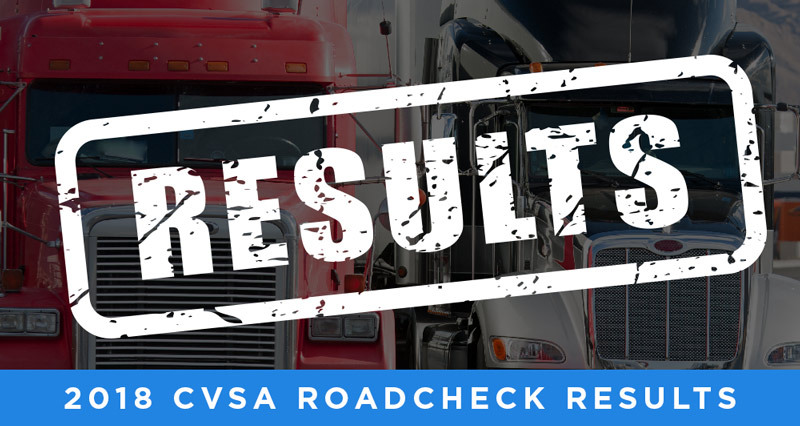 Did you know that in June 2018 during the Commercial Vehicle Safety Alliance’s (CVSA’s) Roadcheck, 67,502 roadside inspections were performed to ensure trucks were within safety compliance? Did you also know that a staggering 21.6% of the vehicles that were inspected were placed out of service? While we all understand the costs associated with tangible products such as trucks, tires, drivers, etc., think of the millions of dollars lost in productivity due to the number of trucks that spent time out of service. Opportunity cost is the money lost when drivers are idle compared to when they are productively running miles on the road. Downtime is often one of the most ignored (and expensive) costs in the trucking industry. To emphasize this point further, the top three out-of-service violations were due to brake systems (28.4%), tires (19.1%) and brake adjustments (16.3%). Each of these violations is preventable and could have been easily avoided. England Carrier Services (ECS) has the opportunity to work with thousands of carriers on a regular basis who utilize our factoring, fuel, tires and maintenance programs. Through our unique product offering, it is our privilege to provide services that best help our carriers to keep their freight rates high and their costs low. When consulting with our best-in-industry carrier base, we have found that carriers who proactively invest in their equipment obtain the best freight opportunities and also maintain the highest levels of profitability. We have relationships with widely respected truck stops, tire manufacturers and dealership networks across the country to ensure that our carriers are never left on the road needing assistance. ECS understands the value of keeping trucks on the road and would love the opportunity to share our knowledge with you. Give us a call at 800.848.7810 to find out how we can safely get you where you need to go.